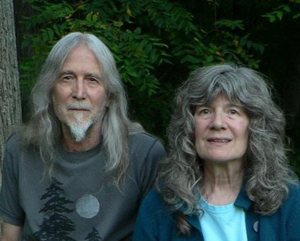 Bob and Jody LePage, the authors, live in the countryside near Madison, Wisconsin. Jody received a PhD in History from the University of Wisconsin-Madison in 1998. Her field was Modern Europe with a specialization in early nineteenth century France — and an overall interest in the development of democratic political culture. Since then, she has worked on a project in African American history, the oral autobiography of Sylvia Bell White. (Excerpt) The book, Sister: An African American Life in Search of Justice, published by the University of Wisconsin Press, was released in June 2013. (http://uwpress.wisc.edu/books/5084.htm). Bob graduated from Marquette University with a major in Philosophy. Independently, he has pursued studies in Physics, Post-Modernism and Complexity Theory. Encounters with People and Nature in the course of four transcontinental walks further shaped his perspective. Derek Gebler, our friend, created the website. Lillian Sizemore contributed the photo at right.